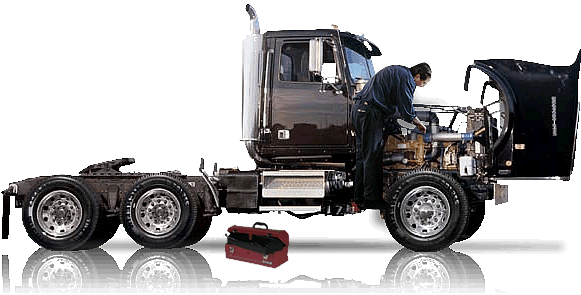 When your truck is in need of repairs, you will need to bring it into a mechanic that will know exactly what to do. You might have a personal diesel truck, or a semi that you drive for a living. The company that you choose should have a team of certified mechanics that can handle any and all of your issues. You will want to work with a company that has decades of experience, capable of repairing any type of truck that is produced today. Ultimate Automotive is a business that is well known in Middlesex County, and is based out of the Cromwell area. If you happen to be in Connecticut, this is an excellent company to use, especially if the words fix my truck have crossed your mind recently. Ultimate Automotive employs a number of employees with specialized training. These individuals are experts in their respective fields, and have a deep and thorough understanding of the problems that can occur within a truck system and how to remedy such issues. Specialists range from alignment and steering experts, to mechanics who specifically work with the electronic systems that are present in many modern trucks. The wide range of fields mastered by Ultimate Automotive employees allows each maintenance session and systems analysis to be complete and thorough. Each part of every truck receives a great deal of scrutiny, helping to guarantee that no problems go undetected. Truck owners have the responsibility of making sure that their vehicles are always in tip-top shape. If they are not able to perform the necessary maintenance on their own, hiring a truck mechanic would be the best course of action. Here are five things one should expect from any provider they plan to do business with. It is very easy to find a truck mechanic to fix my truck, but locating one who has been in business for a long period of time is a bit more difficult. You should always look at the length of time a company has been around when you are trying to determine whether or not to forge a relationship with them. A steady record means that they have been able to keep customers satisfied for a number of years and it is likely they have encountered every issue under the sun. Times are changing and it is important that you look for a company that is able to keep up with your fleet service. The equipment that worked on an older model truck may not do a newer one any justice. Always keep your eye out for a company that understands this and has taken the time to purchase all of the latest equipment. There is something inherently wrong with a truck mechanic that is not willing to offer a warranty on their services. When you pay for parts and labor, the idea is to make a purchase that will last for the long haul. It is not acceptable to have a problem shortly after and a provider expects you to pay for them to fix their own mistakes. Also, the warranty offered should be reasonable. Make sure that you read all of the fine print so there are no disputes later. You do not want to return to take advantage of the warranty and you are told that something you did invalidates your claims. You can always find reviews online from people who have had experiences with mechanics in the area. Sift through these to see what type of service you can expect. If you notice that there are a number of people complaining, you should look for someone else. On the flip side, multiple positive reviews are usually an indication that you have nothing to worry about. As a side note, check the website of the company in question to see if they have any testimonials posted there. It is always nice to have an inkling of the type of company they are before you sign on the dotted line. As you were told above, finding a mechanic is quite simple; locating a great one is the tricky part. If you want to avoid getting stuck with one that is not very good, you should focus on those that are able to meet all of the expectations that were discussed here.